Whether you are looking for a second home that will pay for itself through holiday rental income or perhaps you feel it's time to get out of the rat race and change your lifestyle, investing in bricks and mortar has traditionally been a wise move over the long term. 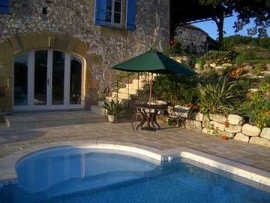 Not only will your capital investment be relatively secure, if you buy the right property you should be able to rent it out at a considerable sum during July and particularly August (the most popular and expensive weeks) or generate an income while living in the property through B&B (Chambres d'Hôtes) or gîtes (self-catering). Letting your property for short term lets when it is not in use provides extra income - this would perhaps pay for its running costs and maybe even finance your holidays there. What you can ask per week depends on size, location and amenities. 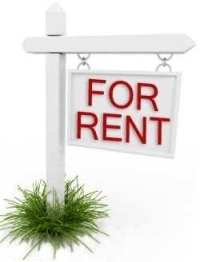 Long term lets, ie in excess of 3 months, have more regulations than short term lets and French law offers quite generous protection to the tenant, even if they are not paying the rent. There is a complicated evictions procedure including rights of appeal and it is very difficult to evict the occupant during winter months. Income tax on a furnished property is different from that on gîtes and Chambres d'Hôtes so you should take professional advice to make sure you are claiming the correct amount. If you live at the property yourself, the areas that are for your use only and those that are used to generate income are treated differently for tax purposes. You can make 5 or less bedrooms (sleeping a maximum of 15 people) available for letting and you must register at the Mairie. French banks are notoriously strict when it comes to mortgages and this is one of the reasons the country has not been so hard it as others. Bear in mind that they will rarely take rental income into consideration when calculating the amount of mortgage to be given as they do not consider this to be guaranteed. It is important to decide before you go house-hunting exactly which way your are going to go - holiday rental or B&B. For holiday rental you need to buy a property with atleast three bedrooms, preferably more, and plenty of bathrooms (ideally en-suite) and you really need a pool to complete the holiday makers' dream. For a Chambres d'Hôtes or gîtes rental you need to think about your own private living quarters and then those that are to be let out. Again, bedrooms ideally need to have en-suite bathrooms and pristine bed linen and towels. Bear in mind that changing beds for B&B could be several bedrooms every day, whereas gîtes only need to be changed when guests leave, normally after one or two weeks. The most popular properties will be close to good transport links, airports (within an hour's drive), near shops, tourist destinations, beaches, golf courses, rivers, countryside and places of historic interest. Tenants tend to want that magical mix of peaceful surroundings yet close to restaurants and nightlife. You need to foresee some investment in modifying and upgrading the property in order to maximise its income potential. Holidaymakers want to relax in clean and well kept surroundings - you will soon get complaints if the property is tired and tatty looking and needing repairs or maintenance. Make cleaning your priority and keep the property well-maintained. Now is the perfect time to and buy this sort of property (snapping up a bargain) and get it ready for the holiday season !